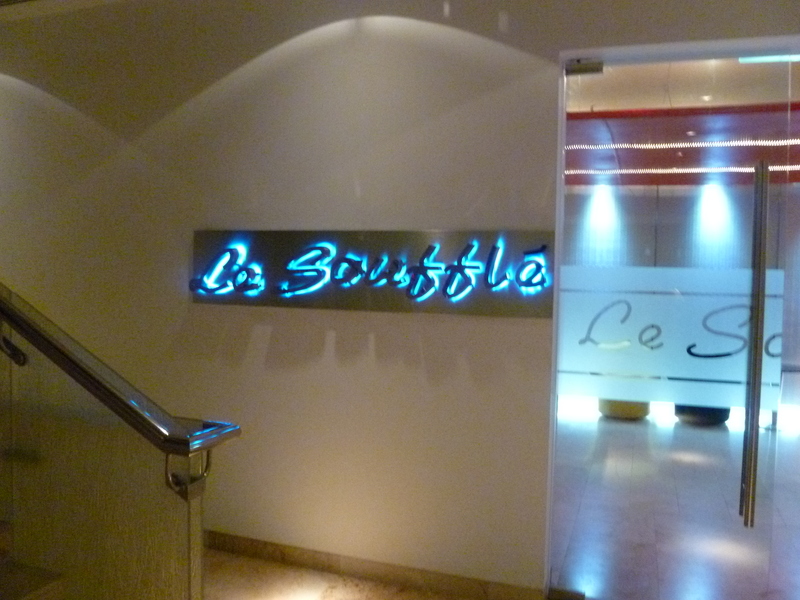 In my ongoing efforts to catalog some of the “places to go in Dhaka” here’s my take on Le Souffle, a French restaurant that is part of the Bellagio group of restaurants. It’s located at the north end of Gulshan Avenue, near the Canadian School and the Pakistani Embassy, in a large white mansion. 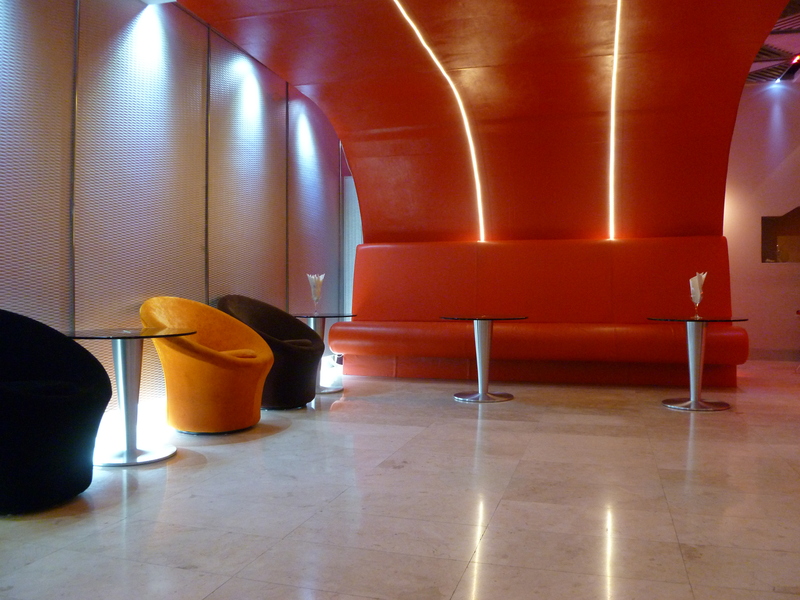 Le Souffle is on the 2nd floor (counted American style, i.e. not the ground level, but just above). In the same building are a tapas place and a Japanese restaurant. All of these restaurants use imported food and chefs, and are thus considered some of the fanciest places in Bangladesh to eat. Certainly the price point indicates that. 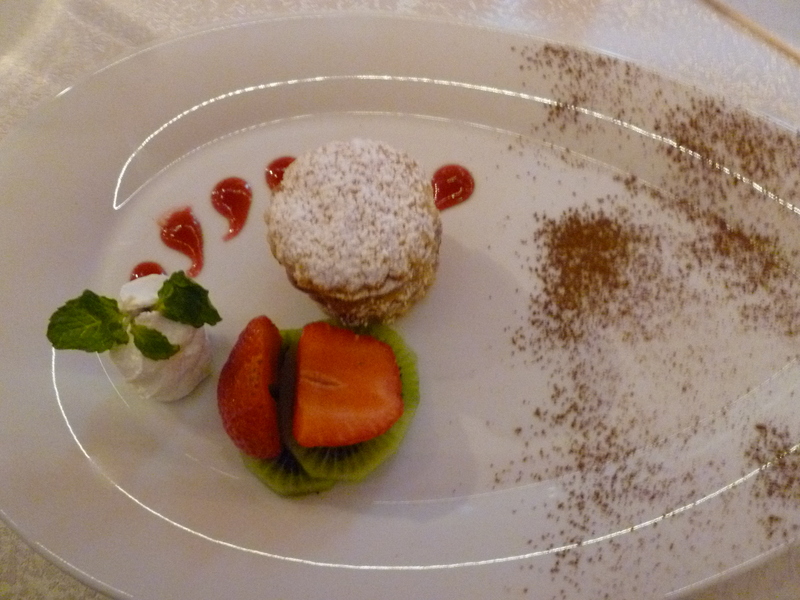 The dinner at Le Souffle was not your typical 500t night! It’s more along the lines of a nice dinner in DC, $40 pp. However, the food was definitely worth the price, certainly for a date night. The food was fresh, bright and served well. We had a prix fixe menu, which included the cute dessert shown above, lamb wrapped in fatty duck, asparagus, carrots, mushroom soup… Many things I can’t even buy here for myself to make a nice dinner with. The staff were quiet and attentive, though they did leave our empty plates on the table for an extraordinary amount of time after we’d finished eating. I think that may have had to do with the large party we dined with. This would probably not be the same with only a small group. You can BYOB at Le Souffle, I am not sure if they have a wine list (official or under-the-table). Before our dinner, we were treated to an amusebouche from the Japanese restaurant, a Tuna Shooter, that makes me want to check out that part of Bellagio soon. All in all, it’s worth a repeat visit, it _was_ the nicest place I’ve seen here in Dhaka. Beyond the Cornfields A family who arrived just a week before us.